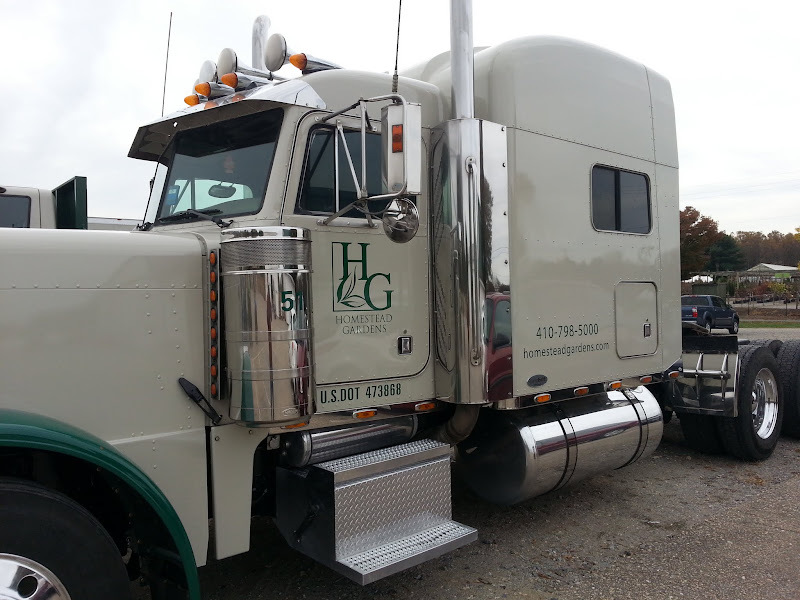 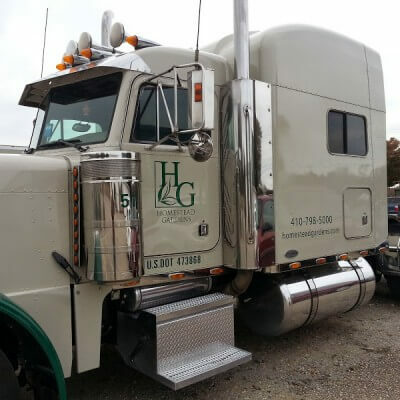 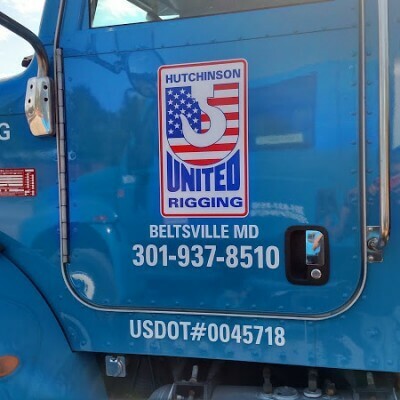 Vehicle Graphics for a big rig at Homestead Gardens in Davidsonville, MD. 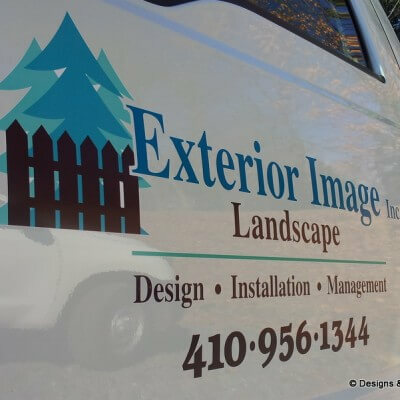 We design and install custom vehicle graphics for many businesses in the Annapolis area. 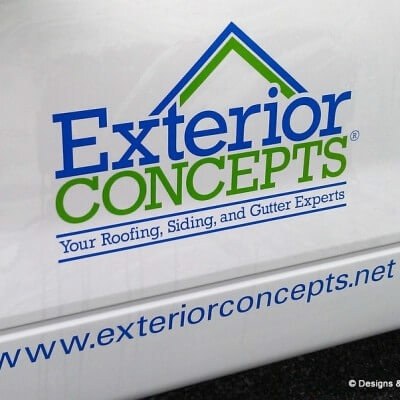 We provide custom logo design for commercial use. 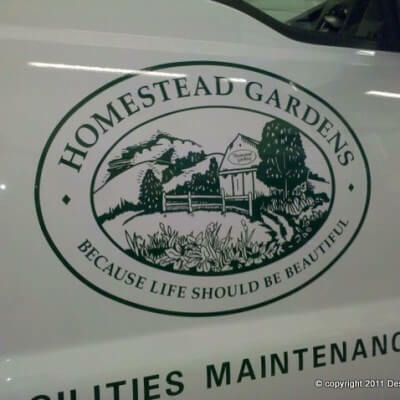 We can mark your vehicles and provide you with a custom sandblasted entrance sign. 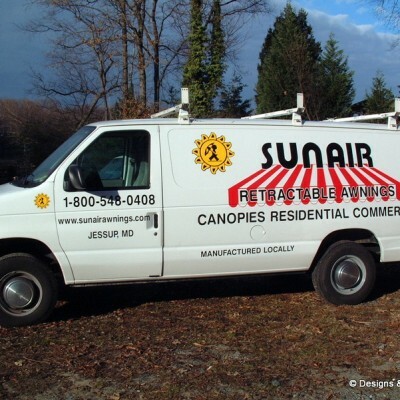 Please contact us if you need vinyl lettering and vehicle graphics for your commercial fleet!